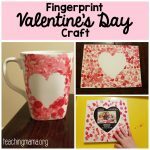 I love handprint crafts. They are always so cute and they capture the size of my children’s hands, which are growing so quickly! 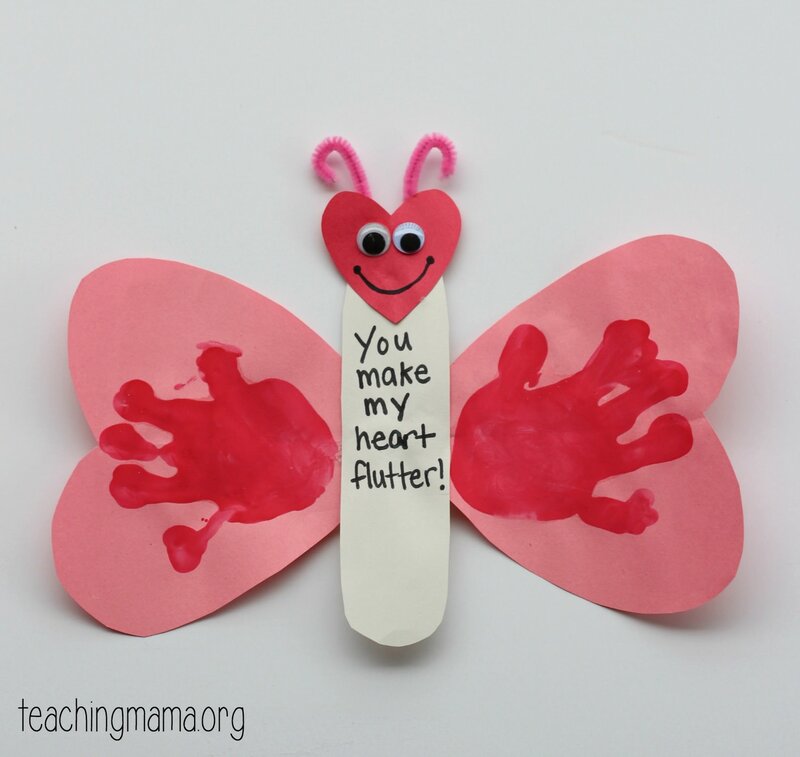 Today I’m sharing with you a fun Valentine’s craft with the “You Make My Heart Flutter” phrase on it. 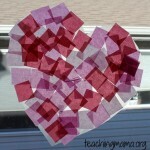 Before doing the activity, cut two large hearts and one small heart out of construction paper. 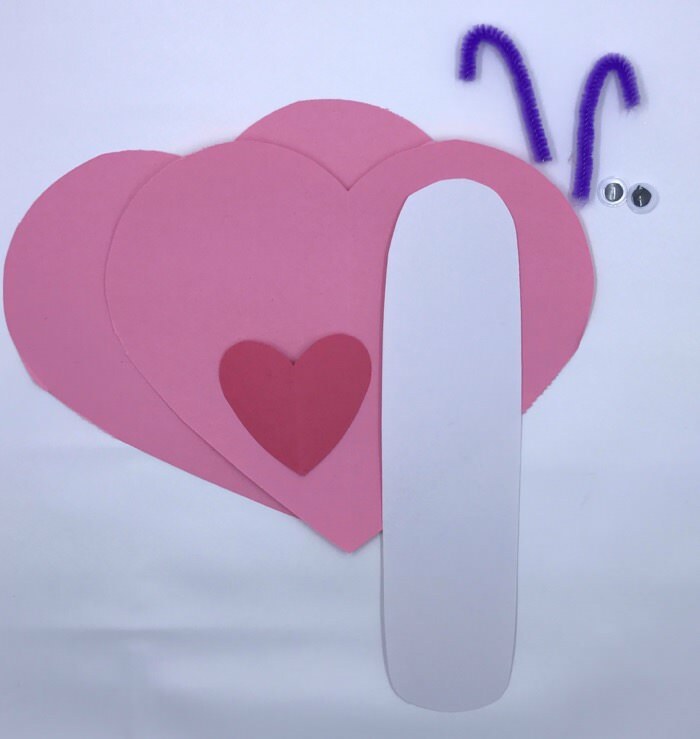 Also cut out a long oval for the butterfly’s body. 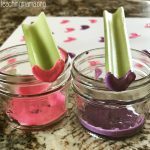 Cut the pipe cleaners to 3 inches and curl the ends. 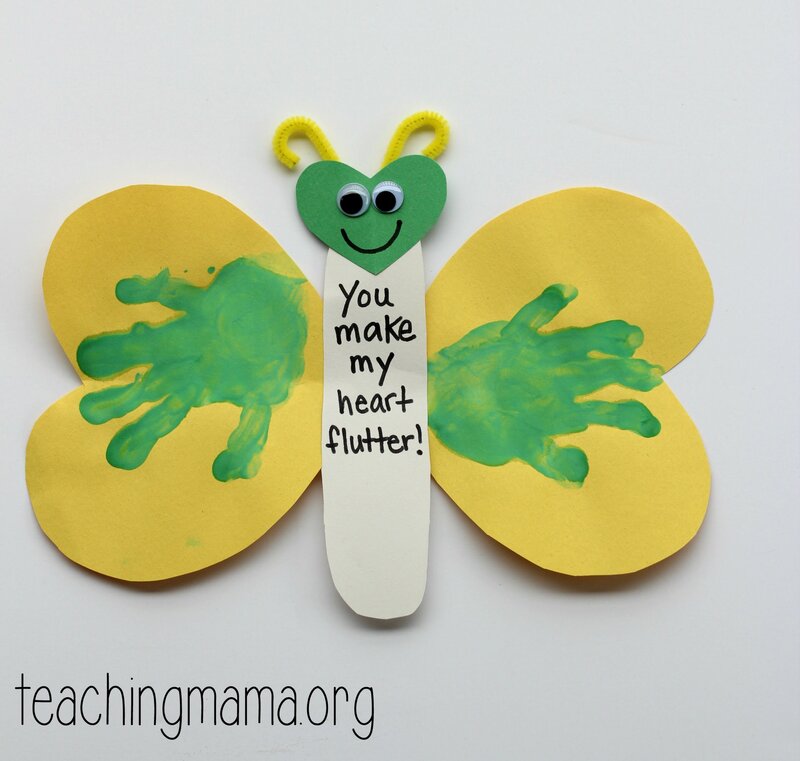 Dip your child’s hand into washable paint and stamp it onto both hearts. (I recommend placing a bowl of water next to you so your child can wash his hands right away.) Let the paint dry. After it’s dry, attach the two hearts to the back of the body. 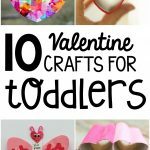 (If you can, use a hot glue gun. I found that Elmer’s glue made the marker bleed through the paper.) 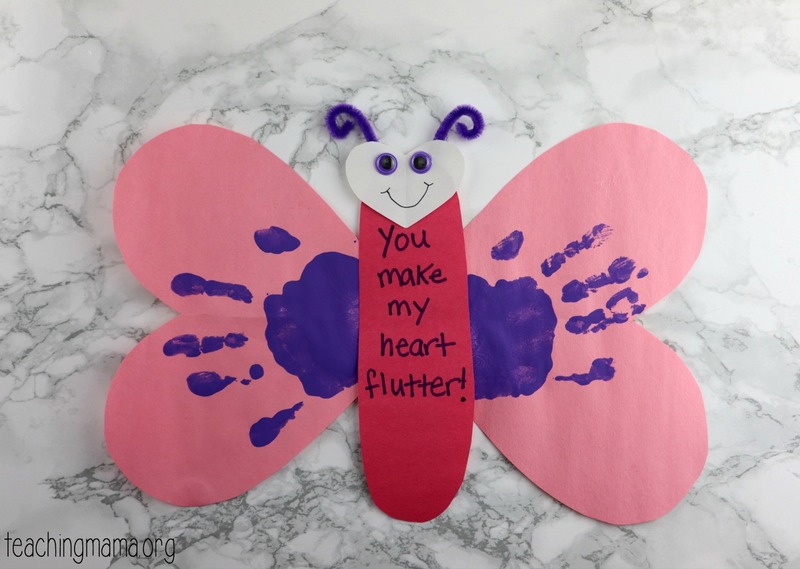 Then write the words “You make my heart flutter” on the body. 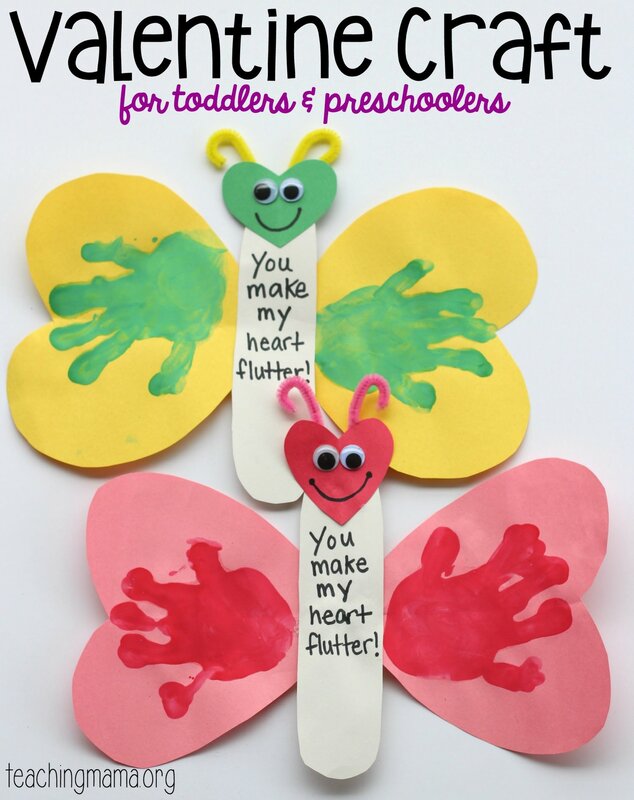 Glue on the googly eyes, pipe cleaners, and draw a smile. 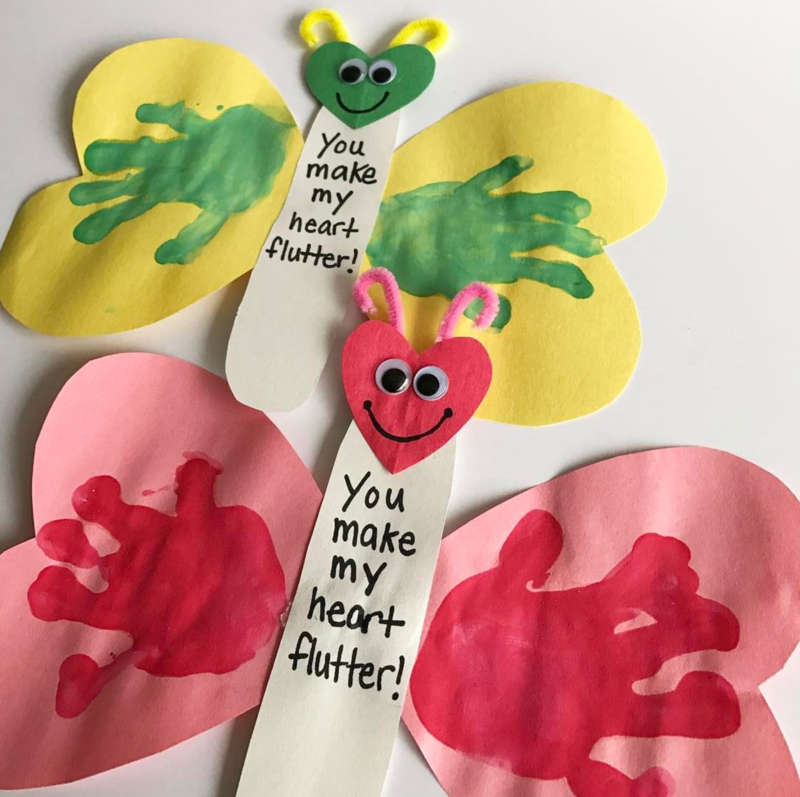 These would be cute Valentines to pass out or even great for classroom decorations! 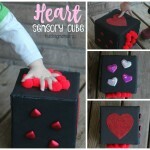 You can see how I made this craft with the video below. Let me know if you’ll be trying this one out! 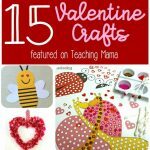 Such awesome ideas….thanks a million! !